Classic and feminine, crystalised agate hand set in a minimal gold-plated setting. 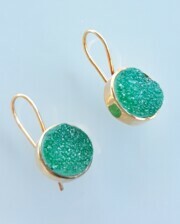 These simple stylish earrings will transition seamlessly from day to night. 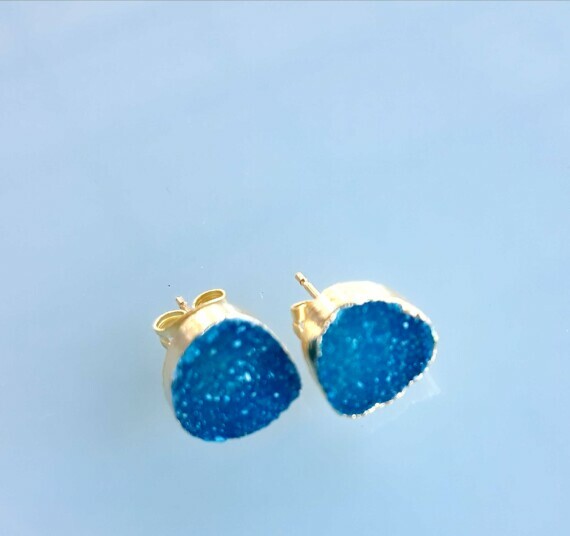 Our beautiful 24 K Gold Plated Brass earrings are hand made and totally unique! 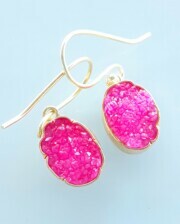 These earrings will sparkle in the sunlight and night lights! Let your inner sparkle shine! 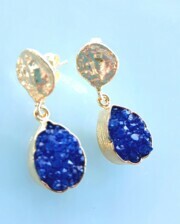 Not only will these earrings look great but you will feel fabulous when wearing them as they radiate a soft strength to ground the spirit with a sense of stability. Agate properties connect with the energy of the Earth. They are thought to bring harmony to all aspects of the being, physical, spiritual and emotional. 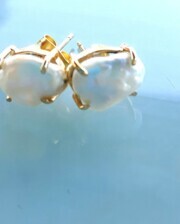 What is not to love about these earrings?